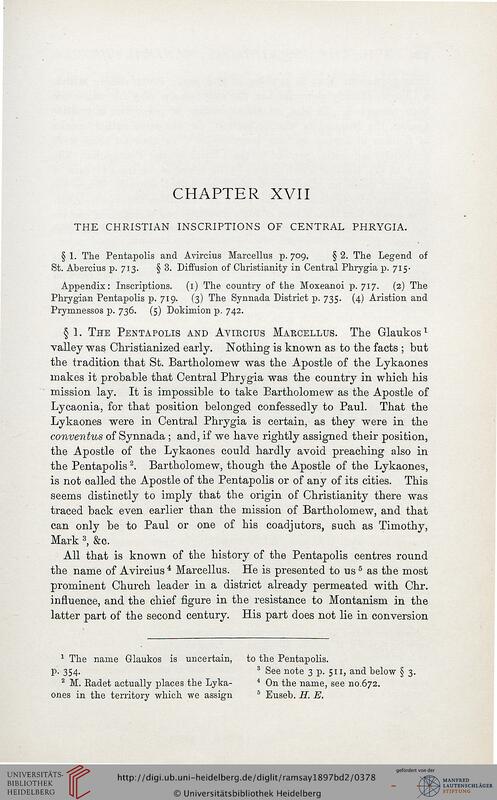 THE CHRISTIAN INSCRIPTIONS OF CENTRAL PHRYGIA. Prymnessos p. 736. (5) Dokimion p. 742.
prominent Church leader in a district already permeated with Chr. 1 The name Glaukos is uncertain, to the Pentapolis. p. 354. s See note 3 p. 511, and below § 3. 2 M. Radet actually places the Lyka- 4 On the name, see no.672. ones in the territory which we assign 6 Euseb. It. E.